Shenzhen is adjacent to Hong Kong on the Mainland China border. It has flourished in this favorable location and become the Mainland&apos;s &apos;coolest city&apos;. Just 30 years ago, Shenzhen was a small seaside town. Now it&apos;s one of China&apos;s biggest and most important cities. Suddenly, the opening of the new bullet train to Hong Kong in 2018 has made Shenzhen a much more popular place for tourists. Now tourists can reach Shenzhen from downtown Kowloon in about 19 minutes. The city has been named one of China&apos;s most livable cities and one of the world&apos;s 25 top high tech development cities. 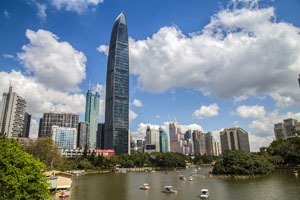 Lonely Planet&apos;s list of top 10 cities to visit in 2019 ranks Shenzhen as second in the world! 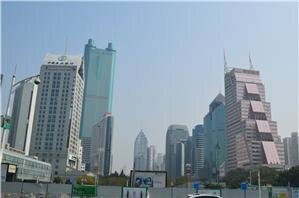 Tourists are recognizing Shenzhen as one of the best tourist destinations in the world. The theme parks are not world class like Hong Kong&apos;s. Though not worth a special trip, they are a fun option if you have kids. They are clustered just north of Shenzhen Bay around the Window of the World stop on Line 1 of the metro. Window of the World covers about 4,000 square meters and has miniature replicas of famous places. Rated #2 Thing to Do on TripAdvisor in 2016. Happy Valley is a kids amusement park that strangely showcases health and fitness and world cultures. The KK100 in Luo Hu is the second tallest skyscraper in Shenzhen. Ping An IFC: It is the world&apos;s 4th tallest building and China&apos;s second tallest, with a world-class observation deck at 550 meters (1,804 feet), and the world&apos;s second highest luxury hotel. KK100: About 4 km away, the 442-meter (1,450-foot) KK100 is the second tallest in Shenzhen and among the world&apos;s top 20 as of 2016. It&apos;s observation deck gives a good view of the sea. 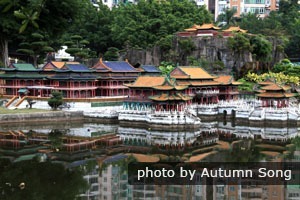 Shenzhen&apos;s city parks are places to exercise and to see the local people and scenery. See more on these on Free Things to Do in Shenzhen. Shenzhen has mountains, hills, and beaches. They are also good places for exercise and a scenic break from the big city. For example, Wutong Mountain (梧桐山Wútóng Shān; #11 of Things to Do on TripAdvisor) is the second tallest mountain in the Pearl River Delta after Hong Kong&apos;s Tai Mo Shan. You may also be interested in Shenzhen Camping Places. 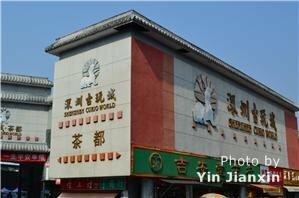 Shenzhen Curio World is conveniently in Luohu and has 2,000 vendors for antique and modern souvenirs and luxury products. Luxury bargains? Foreign brands, high fashion, and luxury products actually cost more in Shenzhen than in Hong Kong! Wealthy Mainland shoppers prefer to shop in Hong Kong. See What Mainland Expats Want to Buy in Hong Kong in 2016 for the relative advantages of both cities. Like Hong Kong, Shenzhen&apos;s weather is fairly mild with plenty of rain and sunshine. The air quality is considered among the best of China&apos;s big cities. However, smog is an increasing problem due to more cars per capita than almost all other cities and Guangdong&apos;s factories. See more on Shenzhen Weather. Typhoons are rare. Shenzhen is affected by a typhoon once in two years on average. For more information, see Hong Kong Typhoon Season. Most people go to Shenzhen through the Hong Kong border. 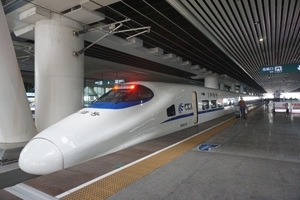 Now, the Guangzhou-Shenzhen–Hong Kong High-Speed Railway links Guangzhou, Shenzhen and Hong Kong and offers a quicker alternative. From West Kowloon, it quickly and conveniently whisks people in about 16 minutes to Futian and about 19 minutes to Shenzhen North. But there are other ways... See more on Shenzhen Transport. 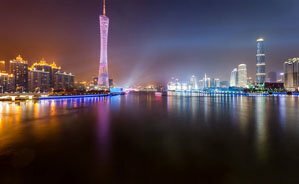 Guangzhou is now 72-hour-visa-free for transit via Baiyun Airport. This visa free travel permits you to travel around all of Guangdong Province including Shenzhen!